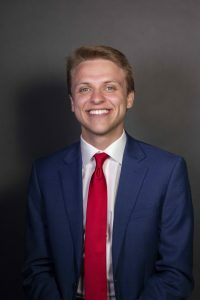 The Daily Mississippian interviewed each of the executive candidates for the Associated Student Body about their goals for their campaigns before they debate tonight at 6 p.m. in the Overby Center auditorium. Davis said she wants to focus on three points as president: access, consensus and wellness. 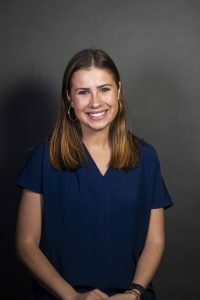 She said she wants to make both the ASB and university administration more accessible to students by strengthening the communications branch, and she hopes to emphasize mental health on campus by creating a health and wellness position in her cabinet. 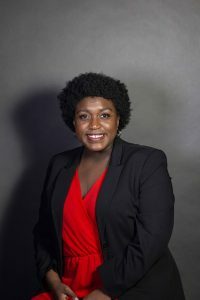 “(I want to) make sure that we have a diverse group of students with accurate representation within ASB and (by) making sure there’s unity across the student body,” Davis said. 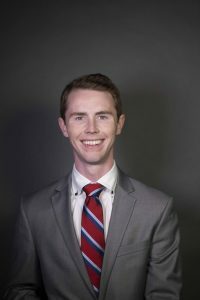 Fowlkes said if he is elected as ASB President, he will communicate with the student body directly through polls, advocate for the student body to the administration and accelerate the ASB through conversations with the Student Activities Association on how to improve and refine ASB’s programming operations. “I believe that Ole Miss has momentum,” Fowlkes said. “I believe that every one of the students here would not have enrolled if they didn’t believe that Ole Miss has the potential to do incredible things, but every day, we, as students, face issues that harm our ability to achieve our true potential. 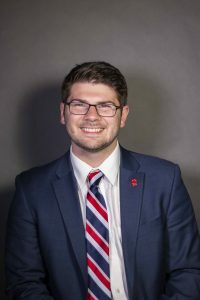 Mayfield said if he is elected ASB President, the student body will be his primary focus, and he will make sure every student is given the opportunity to find a home at Ole Miss. Sarah Doty. Photo by Katherine Butler. Doty said, because of her experience in ASB as assistant executive liaison, she will be able to turn ideas into actions and results. She believes her time in student government has helped her develop the necessary skills to lead as vice president. Brady Keis. Photo by Katherine Butler. Kies said that, if elected vice president, he wants to focus on training, transparency and accessibility. He said he wants to make sure that everyone gets involved in ASB Senate. Riojas’s campaign slogan is “Let’s get R.E.A.L.,” which stands for Revamp, Engage, Amplify and Love. For each of those letters, Riojas said he has a different policy for how he can make Senate produce senators who will better represent the student body, including a five-year plan to improve mental health resources, an enhanced forum system and leadership workshops. 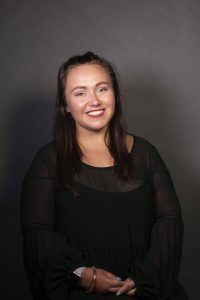 “I think ASB can do a lot more — Senate especially — to meet students where they’re at and actually make tangible impacts on students’ lives,” Riojas said. Charlotte Shackelford. Photo by Katherine Butler. 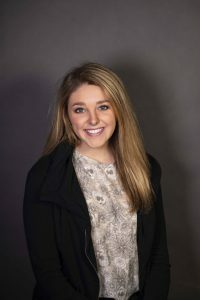 Shackelford’s platform focuses on redesigning the connection between the Senate and the students and on making sure that everyone’s voice is heard. She said ASB needs to improve on informing the student body about who is representing them. “I want senators to be going to at least one EDHE class to explain who (the students’) senator is and then how to find (out who their senator is) in years to come since they won’t always be in EDHE to give that talk forever,” Shackelford said. Shackelford said she also wants to make an ASB Senate Google Drive that’s accessible to everyone, so anyone could see what’s going on with the senate at any time. Weaver, while he has lots of ideas for vice president, said he is focusing on accountability, collaboration and efficiency. 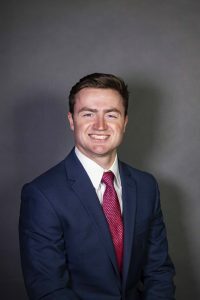 Weaver wants to have the Senate poll the student body so everyone gets a chance to voice their opinions, and he suggested that ASB could utilize social media polling as well. 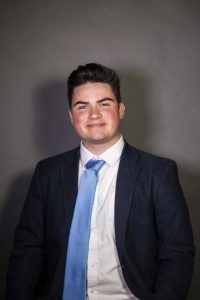 “I’ve run this idea by plenty of people currently in ASB and other candidates for different positions that are running right now, and they all said it is a really cool thing that (we should) do,” Weaver said. Weaver said he will form subcommittees and caucuses within the Senate so there will be more opportunities for collaboration. He also said that, in order to make the Senate meetings flow more smoothly and efficiently, they could use the projector in the room when displaying legislation so everyone will be able to read it as they’re going over it. Brynn Trahan. Photo by Katherine Butler. 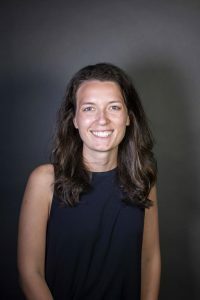 Trahan’s campaign slogan is “In Your Corner.” Trahan, who has served on the Judicial Council for the past two years, said she wants to help students through the judicial process. 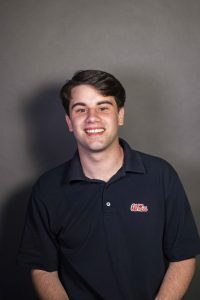 “I’m advocating support for students during the judicial council so it’s essentially just there to help when we get put into situations that aren’t ideal and figuring out solutions that help students and the Ole Miss community create the most good and be the best that they can be,” Trahan said. Fiala — running unopposed for attorney general — said he wants to create the position of deputy attorney general of justice in order to assist the attorney general in holding ASB members accountable. He said he also wants to work on election reform and voting in the student body. 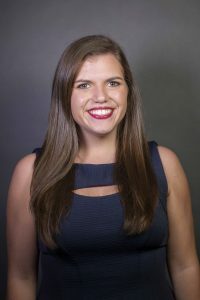 “We can improve our voting interface here at Ole Miss and explore ways in which we could have information, such as candidate platforms with pictures and things of that nature even on the ballot, so we could make it to where students can easily be able to see and know exactly who and what they’re voting for when they go to (vote),” Fiala said. Gianna Schuetz. Photo by Katherine Butler. 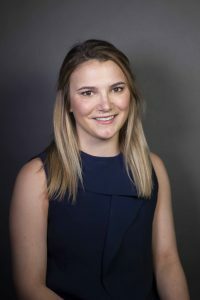 Schuetz is running unopposed for treasurer, and she said that when she takes office, she will be focusing on three specific points: expand, educate and experience. Schuetz wants to increase the student activity fee to expand funding to organizations and to work with the career center to sponsor financial literacy seminars. Schuetz said she’s served in the ASB Treasury Department her freshman year and served as Interim Treasurer this semester, which gives her unique experience into what works efficiently in the department. “I’ve facilitated the switch from Orgsync to the new Forum system. I understand what has worked in the past and what does work and is working with the new system to change it to make it more streamlined,” Schuetz said.